Nell knew she should follow the path to midwifery and has dedicated her career to creating a homebirth model in a small hospital setting. Denise is a midwife in a hospital in The Bronx. She assists women from marginalized areas of society gain access to a midwife in high-risk pregnancies. And Sharon is Chief of the Midwifery Division and oversees a midwife education program at Baystate Medical Center. 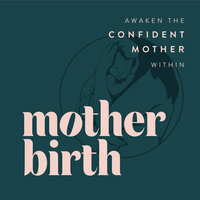 In today’s episode, Summer Edwards shares the details of both of her challenging yet rewarding homebirth experiences, and discusses how she is working to revolutionize the workplace for women at a systemic level through her Lead Mama Lead movement. Laura’s research in her doctoral program have led her to focus her doctoral project on creating an important space in our community – giving women who have had traumatic birth stories a chance to find growth and healing through processing and integrating the birth experiences they have already had.